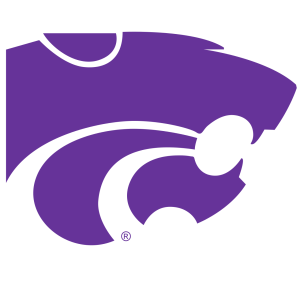 MANHATTAN — Following an election September 7 at the semiannual meeting of Kansas State University Foundation’s board of trustees in Manhattan, three members were re-elected to three-year terms on the foundation’s board of directors, and 49 members were elected to four-year terms on its board of trustees. The KSU Foundation now has 348 trustees serving as the university’s premier advocates, ambassadors and investors. The KSU Foundation’s board of directors oversees management, control and supervision of the KSU Foundation’s business and affairs. Re-elected to the board of directors: Charlene Lake, Dallas, Texas, who earned her bachelor’s degree in journalism and mass communications from the College of Arts and Sciences in 1983; Steve Theede, Houston, Texas, who earned his bachelor’s degree in mechanical engineering from the College of Engineering in 1974; and Mary Vanier, Manhattan, who earned her bachelor’s degree in hotel and restaurant management from the College of Human Ecology in 1989. Karen and Mike Pestinger, Beloit; Amro and Darla Samy, Garden City; Beth and Trahy Hurst, Junction City; Tom and Vera Hintz, Jane and Wayne Ingmire, Roger Lanksbury, and Christy Linders, all of Manhattan; Garren and Heidi Walrod, Randolph; Lynette and Mick Tranbarger, Wichita; and Diane and Jerry McReynolds, Woodston. Don Gemaehlich, Chandler, Arizona; Doug and Sabrina Kruse, Templeton, California; Andrew and Megan Murphy, Telluride, Colorado; Larry and Linda Nelson, Washington, D.C.; Marta and Tim Belstra, DeMotte, Indiana; Cathy and Tom Ritter; Reistertown, Maryland; Sue and Tim Regan, Waterloo, Nebraska; Karen and Scott Love, Bartlesville, Oklahoma; JP and Teresa Bilbrey, Mechanicsburg, Pennsylvania; Janet Strohmeyer, Austin, Texas; Audrey Mross, Dallas, Texas; Julie and Scott Jimison, Haslet, Texas; Amy and Nick Graham, Highland Park, Texas; Charlie and Debbie Morrison, Keller, Texas; Dan and Kim Wicker, McKinney, Texas; Brian Paulson, Sherman, Texas; Carol Laflamme, Fairfax Station, Virginia; and Jesse and Sabrina Schriner, Sammamish, Washington.